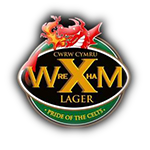 Thank you for your interest in visiting the Wrexham Golf Club web-site. We trust the site gives you reasonable information about the Club and, in particular, its history and traditions. We would also encourage you to make contact if you would like further information or would like to visit the Club.